Please click on the image to see more photos. What began 2.5 million years ago as a coral reef in the ancient Tethys Ocean is today one of the most impressive mountain landscapes in the world. Numerous legends and some enigmatic mythical figures are associated with the emergence of the Pale Mountains. The first Dolomite natives were nomads around 8000 years before Christ. However the first documented lasting settlements date from the Iron Age between 1700 and 15 BC. In addition to the Ladin people, who today are the oldest people still to inhabit the Dolomites, the Raeti, Lombards, Franks and Bavarii all attempted to gain a foothold in the Dolomite region. 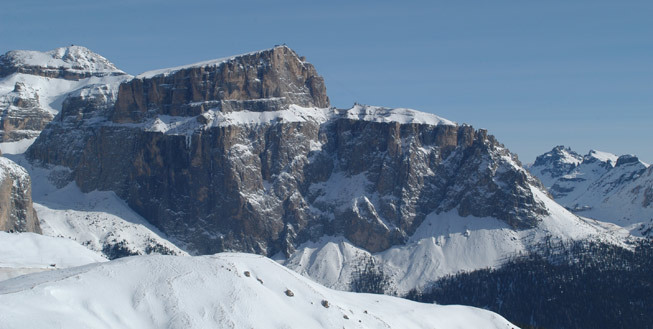 The occupation of the Dolomite valleys by the Romans in 15 BC brought a gradual transformation of the culture and customs with it, and spawned new population centres and transportation routes. However the Pale Mountains really only became truly accessible in the 18th century when explorers, mountaineers and finally the railways left their traces. 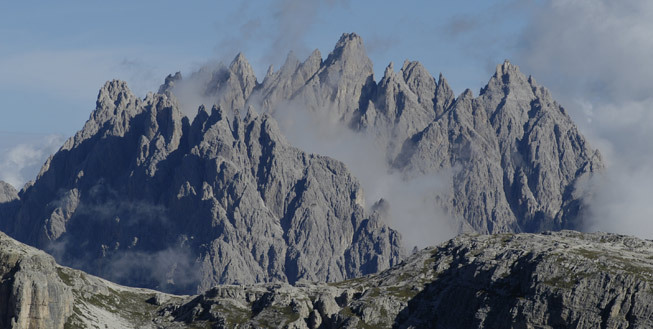 During the First World War from 1915 to 1918 the Dolomites were the site of what was possibly one of the most terrible chapters in the history of mankind when Italian and Austrian soldiers opposed one another in bitter trench warfare. The traces of the battles, bombs and mines can still be seen in many places today. 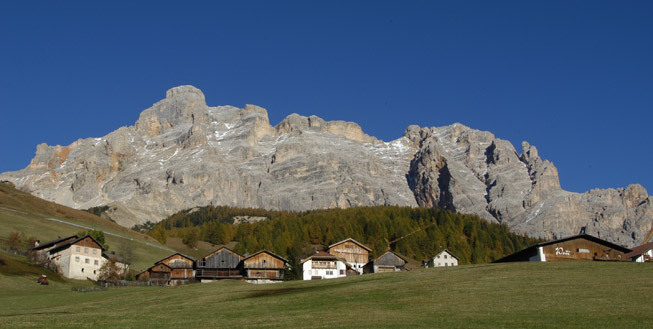 With the end of the war, which had stifled the embryonic tourism industry, many mountain lovers and hikers poured into the towns and villages of the Dolomites to climb the summits with local mountain guides, top up on fresh air or simply to enjoy the view of the breathtaking mountains.